“The big hurdle is the first six months – that’s when everyone quits.” Andre Mellor should know. He’s faced this hurdle before, but thankfully for him and his clients, he never gave up. 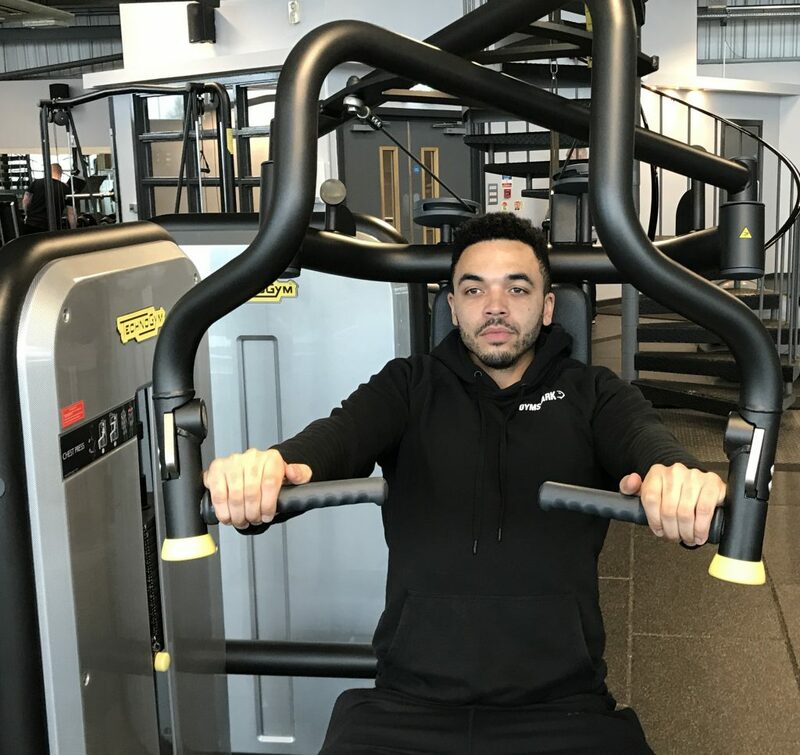 Andre has been a personal trainer for just over two years and trains at the DW Fitness gym in Brooklands, Cheshire. 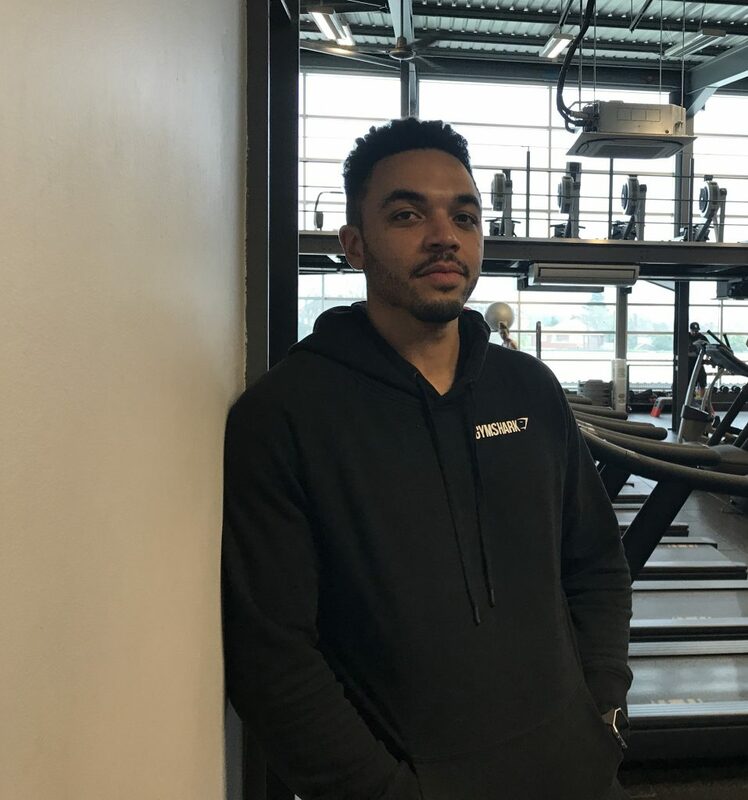 We spoke to Andre to find out why he became a personal trainer, the challenges he’s faced along the way and what advice he’d give to others in the industry. What made you want to be a personal trainer and how did you get into it? I did a part time qualification while I was working as a sign maker. I wasn’t interested in pursuing that as a career because I didn’t see any progression opportunities in it, whereas I saw a lot of opportunity in becoming a personal trainer. I’ve always been into fitness; it’s always been part of my lifestyle, whether through working out or playing different sports. I’d said I wanted to be a personal trainer since I was 18 and it took me eight years to actually bite the bullet and do it. I have a degree in Sports and Exercise Coaching Science from Teeside University, but I needed an industry recognised qualification to become a full-time personal trainer. When I decided it was something I was serious about doing, I studied for my Level 3 Diploma in Fitness Instructing and Personal Training. To be honest, I knew about the tricks of the trade because I’d been training for years and I had the degree, so most of it was a refresher for me. I think it would’ve been more beneficial for me if they touched on the business side of being a personal trainer. Most people that sign up for personal training courses have a background in training and are up to speed with current trends, so what would help most personal trainers is teaching them how to find clients. So do you think that’s something that a lot of personal trainers almost have to learn ‘on the job’? Exactly – they either sink or swim. A lot of courses don’t teach you about finding and retaining clients, they just give you the qualification to enable you to train someone. They don’t hit home that you’ve got to be proactive. To make a reasonable amount of money, you’ve got to get your face out there by interacting with people, otherwise no one will know who you are, what you’re about or how you train. I found this part of the job a bit of a shock at first, because I’m naturally quite introverted. There’s a false expectation among newly qualified personal trainers that the customers will come flooding in, but that’s not the case, especially if you’re self-employed. The gym you work for charges you rent for being in their space and you need to make money. I’m glad I didn’t try and become a personal trainer at 18. I would’ve given up after a few months and gone into something else; I didn’t know enough about the challenges of being self-employed and running my own business. The big hurdle is the first six months – that’s when everyone quits. What were the biggest challenges you faced within the first six months of being in business and what advice would you give to other personal trainers who are just starting out? When I first started, I was full of self-doubt. In the first few months, you can get five or six new clients and feel amazing, but then you get complacent, your client base dries off and you’ve got to go back to interacting with more people. Complacency is what separates successful and unsuccessful personal trainers. You’ve got to prepare for drop-offs and, when they happen, you need to find ways around them. Collect as much information as you can from people – emails, phone numbers etc – and send out advertisements letting them know you’ve got a deal on for that month. Leave your business cards on the gym’s notice board. Little strategies like this make a huge difference, because people are more likely to give you a try. There are also seasons in personal training which affect how successful your first six months are. For example, the beginning of the year is really busy because everyone wants a summer body, whereas in the summer itself it’s quieter because people go on holiday and maybe lose a bit of motivation. Another useful tip for new personal trainers is to do some part-time work somewhere else in the first six months, so that you at least have some money coming in. That way, you can afford to not make money from personal training for a while and you’re not panicking or trying too hard to get business. The reality is, you may struggle to make money from being a personal trainer at first, so you need to make sure you’re financially secure. You touched on your approach to personal training in terms of being persistent and not letting complacency get the better of you. Is that what got you where you are today? Absolutely. I never gave up when the going got tough and I held out, even when I wasn’t making as much money as I wanted to. It does pay off in the long run, you just need to stick at it. Whether you’ve got one client or a hundred, it’s really rewarding knowing that you’re helping someone progress and deal with something in their life. You don’t just train people during a session – sometimes, you almost became their counsellor and they really open up to you and confide in you. I like that aspect of my job. Now you’re at a stage in your career where you’ve overcome the most seemingly difficult hurdles, but are there still some challenges you face on a regular basis? Definitely. Although my job has got easier through the years because I know more about it, it’s a constant cycle of peaks and troughs with clients coming and going. A lot of people get into the shape they want and think ‘right I’m done now’, whereas they should really carry on going. Some clients can start a family, which stops them coming to the gym as often, and some people are hard to get hold off if you try and contact them. These things happen – you’ve just got to keep grafting and finding new clients, because you can’t expect people to stay with you forever. What would you say to other personal trainers who are facing similar struggles? Don’t take it personally if you can’t keep hold of a client. You can have three or four people cancelling in a day, which you can’t legislate for, so don’t let it affect you. If the client reschedules, you’re not really at a loss. What’s also worth bearing in mind is that personal training is a very people-oriented industry. There are some people you just might not gel with or they might not like your style of training, which is natural – you’re not always going to get on like a house on fire with every client you have. Aside from the interpersonal aspect of the role, what other factors are important when pursuing a career as a personal trainer? Location, without a doubt. Where I work is on the border of Cheshire, in an affluent area, which definitely benefits me as a personal trainer. People with spare cash aren’t worried about bills and can put money aside for gym memberships and one-to-one sessions. I’ve also found that people in affluent areas are more health-conscious because they’re not stressed about having mouths to feed and have more spare time on their hands. In theory, most personal trainers should know enough about the area they’re working in to decide whether or not they work there. But if you’re moving to a city and don’t know the area, research the surrounding areas as much as you can. Another factor that is so important is social media presence. So many people use social media these days that it’s a great way of attracting new customers. Bearing this in mind, how do you think personal trainers should go about promoting themselves on social media? Before becoming a personal trainer, I didn’t really use social media, so at first I felt like I was forcing myself to record videos and post content on Instagram, but it soon became more natural. I started recording my workouts, posting them on Instagram and captioning them with questions so that people responded to these in the comments section and I could start up a conversation with them. I include the URL of my personal website in the captions sometimes and use a video editing app called Splice to make my content look more professional. What I’ve also found to be a good strategy is putting relevant links in your Instagram bio – so at the moment, I’m offering a five-day free workout trial and I’ve linked to that on my page. Ultimately, the more thought you put into your social media strategy, the more people will find out about you and engage with your content. The main piece of advice I’d give to other personal trainers is, just be yourself. Don’t rush everything and expect to be a social media sensation just because you put a few videos out. You’ve got to be patient and interact with people on there, just like in real life! You mentioned before that you have your own personal website where current and potential clients can discover more about your services. How did you set this up and how easy is it to do? I used a content management system called Squarespace, which I found really straightforward. Getting set up was really easy – there were loads of templates to choose from, I just picked the ones I liked and added the copy from there – I didn’t need an in-depth knowledge of coding or anything like that. Posting photos was easy, too – there are loads of sites offering high-quality, free-to-use images, so I didn’t need to worry about copyright infringement. As with social media, I had to be patient in creating my website and slowly built it up. I added photos of me on holiday, then price lists, then an email address, a contact field and a landing page. Once I’d fleshed out my website with all these features, I noticed the number of enquiries starting to creep up. So, looking ahead to the next five to ten years, do you have any long-term goals or aspirations? I want to progress in the fitness industry as much as possible. I’ve been thinking about eventually opening up my own unit and doing personal training from there, or maybe venturing into a more niche market like sports performance training. When you’re starting out in a gym, you take in anyone you can. You don’t know what your niche demographic is or what kind of training you most enjoy, you just work out your preferences as you go along. There’s so many disciplines I’ve had to teach over the years, from weight loss and high intensity training programmes to weight training for people who want to bulk up. That’s the glory of personal training – there’s so many facets to it, that you can take it anywhere you go. In spite of all the challenges you’ve faced, what have you enjoyed the most about being a personal trainer? Seeing someone transform their lifestyle right in front of you because you’ve got them to like exercise. The fulfilment that brings is the best feeling there is as a personal trainer. If someone’s coming in three or four times a week and they’ve gained a load of muscle or lost a load of weight, that’s the real reward. It’s not just about how they look on the outside, either – knowing how they feel mentally and how much differently they perceive themselves is why I’m a personal trainer. Feeling healthy isn’t just about your clients hitting a certain number and letting that dictate your happiness, it’s about realising their capabilities and knowing they can keep pushing themselves. Finally, what made you take out specialist personal trainer insurance and can you sum up why it’s so important for fitness professionals? If you’re passionate about what you do, you’re going to work your clients hard. So even with the greatest care in the world, people are going to get injured at times and you’ve got to cover your back if something goes wrong. When clients are filling in their registration forms, some of them won’t mention whether they’ve got certain health problems or whether they’re taking medications. That shouldn’t fall on you, it’s their responsibility to tell you. However, not everyone will, so having personal trainer insurance is essential. 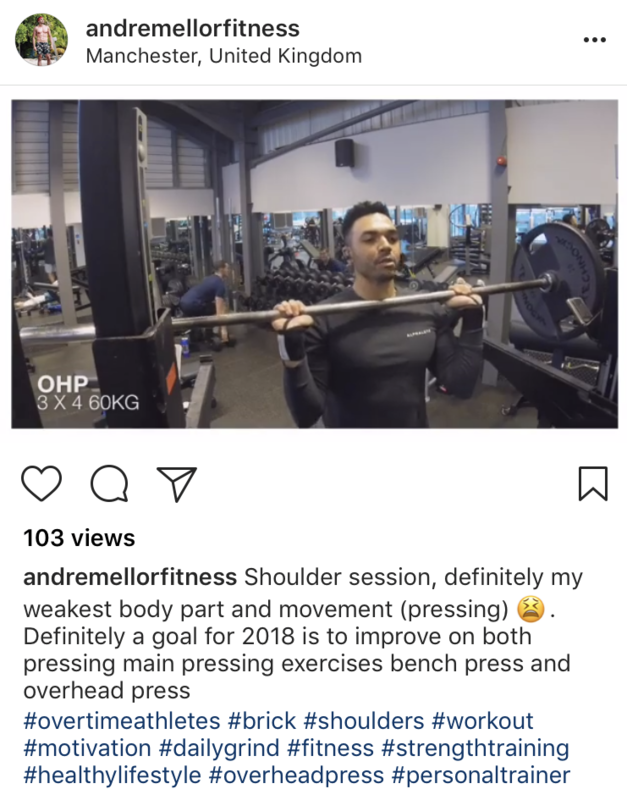 Hopefully reading Andre’s insights has inspired you to take your personal trainer career to the next level! For further tips on how to be a successful personal trainer and run your own business, download our ultimate PT guide.